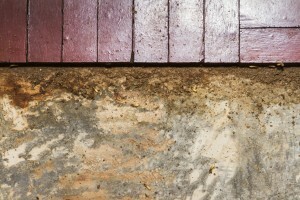 The crawl space is a more important part of your home than you probably know. Many people realize it is included in a home inspection when you go to sell your home, but do you know why? The health of the crawl space can effect everything from the state of the building materials around the foundation of your home to the air quality inside. That is why keeping it clean and in good shape is so important. The Killers Crawl Space Restoration has been professionally handling crawl space cleanup in Vancouver, WA for over 30 years. Without the right ventilation a crawl space can become rife with insect activity, rodents, mold, and mildew; each of these is very damaging in their own way. Insects and rodents can eat away at the wood and other materials, even breaking up the insulation and vapor barrier. They can also spread bacteria and allergens. These, along with mold spores, can find their way through vents up into the building’s air ducts where they become a health threat. Getting an annual crawl space inspection and cleanup will keep the area safe and in good condition. Our crawl space cleanup professionals start with a comprehensive inspection. We go over the details of the condition of the crawl space with you and offer you an upfront, no-pressure estimate for the cleanup. We are happy to answer any questions you have and will fully describe any concerns, such as termite damage. Once you have approved of the work, we begin by removing the soiled materials, taking every safety measure to ensure the mold and other hazards are removed without being spread. From there, we work on any drying needed as well as restoring damaged building materials. We install pest control measures to address the specific type of insect or rodent activity present, making sure to eliminate all harmful pests. When the crawl space cleanup is complete, we reinstall any insulation or vapor barriers that have been removed, with new ones. We measure the airflow and make any adjustments necessary to get the ventilation just right. Then your crawl space will be restored to a healthy, clean area. As a locally-owned company, our reputation is based on the good work we do in our community. Our crawl space cleanup in Vancouver, WA is guaranteed, so you can feel confident that it will be done well. We encourage you to check out our reviews online. You will see why people trust us as the go-to name for crawl space cleanup in the area. 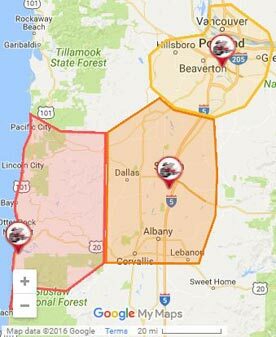 Contact us today for an estimate on a crawl space cleanup in Vancouver, WA or the surrounding cities.